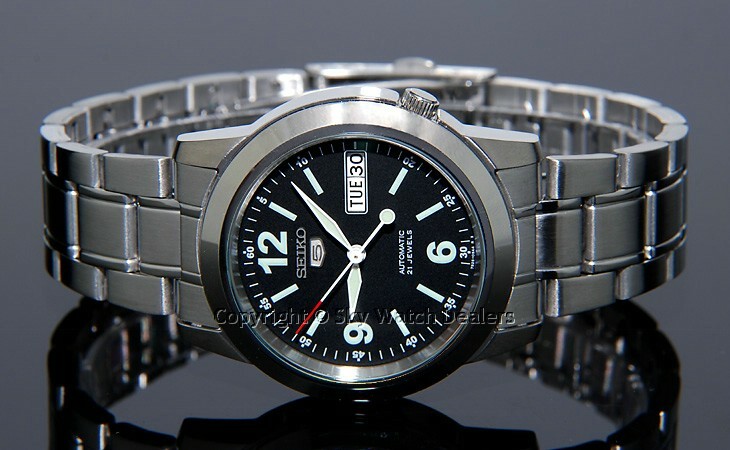 Another really sharp looking Seiko 5. I like the aviator style hands and brushed steel look. Really nice bracelet on this one. Only about $50 on ebay!